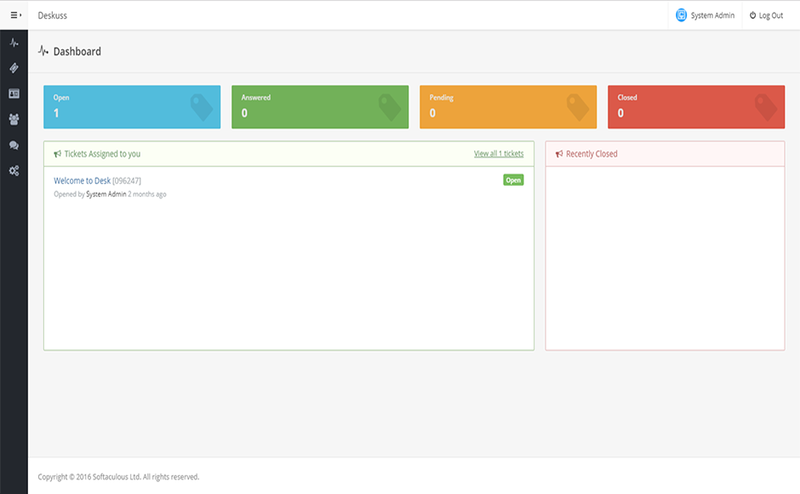 The first aspect of any application is the dashboard. Deskuss's dashboard is sleek and simple, provides you with all the required information in regards to tickets so you're not wasting time looking for the feeds and also makes sure you're keeping track of any tickets assigned to you! Just like your company you can have multiple departments in Deskuss to cater to different needs, lets get to know more about some important aspects of a department before moving forward shall we? 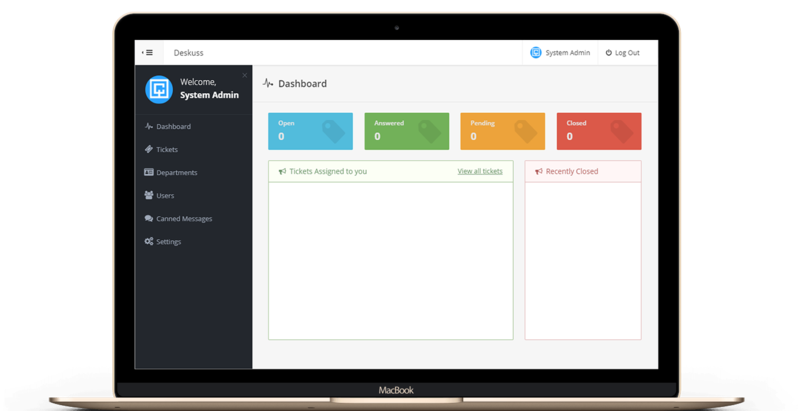 Deskuss offers you a simple yet feature rich Ticket Management platform, with Internal Notes from your colleagues, Live User tracking, Canned Replies, etc.., would you like to know more? Don't wanna use our subdomain? 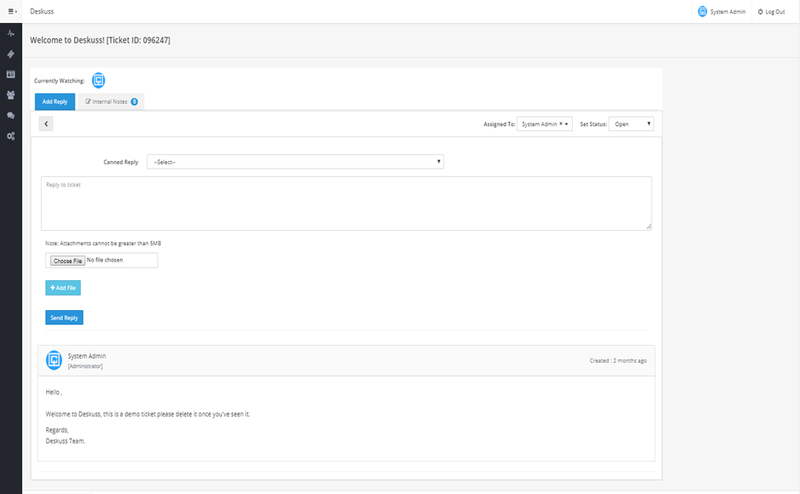 No problem, Deskuss allows you to point your own domain or subdomain to it and makes it live almost instantly. 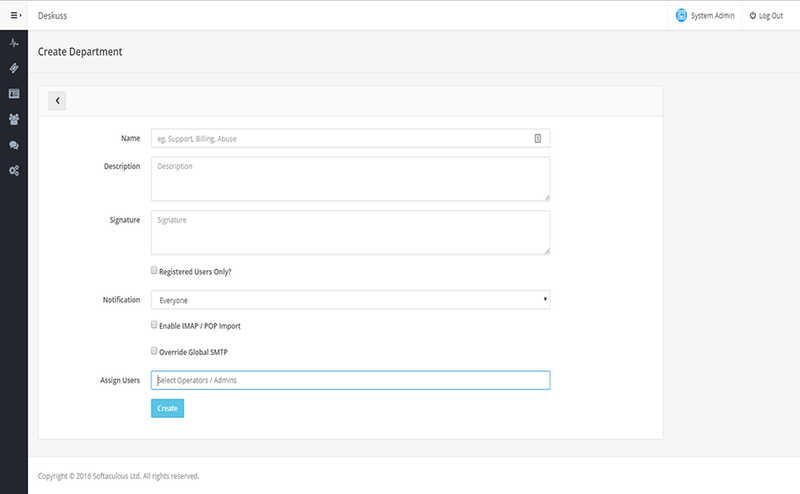 We also have a set of predefined themes to help you feel comfortable, You can also choose to setup your own SMTP provider to send mails from. Deskuss is built to be fast and feature rich. Important aspects like backups, security updates and upgrades are taken care of by our team at regular intervals givng you peace of mind and allowing you to concentrate on supporting your business. 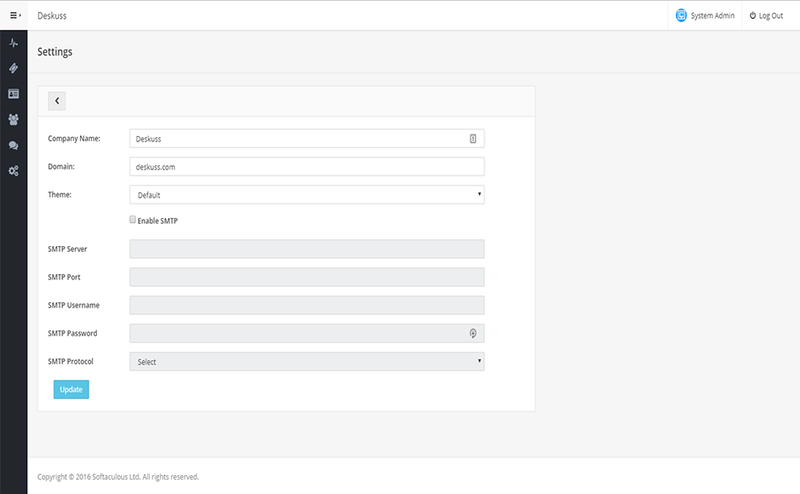 We believe in simplicity, Deskuss is simple to use yet very powerful and feature rich platform. Easy navigation and accessible links prevent you from frustration! SaaS stands for Software as a Service, how does this benefit you? We take care of Deskuss's uptime and upgrades and you can concentrate on serving your clients with peace of mind!